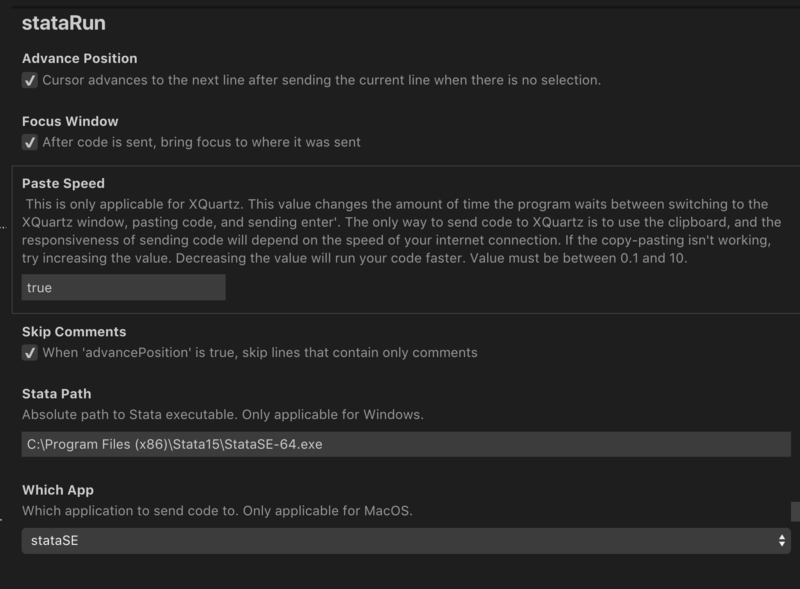 Visual Studio Code>Other>stataRunNew to Visual Studio Code? Get it now. Settings derived from stata-exec, which provide the same features for Atom. Only tested with Mac Os so far. Please and try create issues if any. Feel free to contributes.